Al raidan Restaurant restaurant in Triplicane, Chennai. 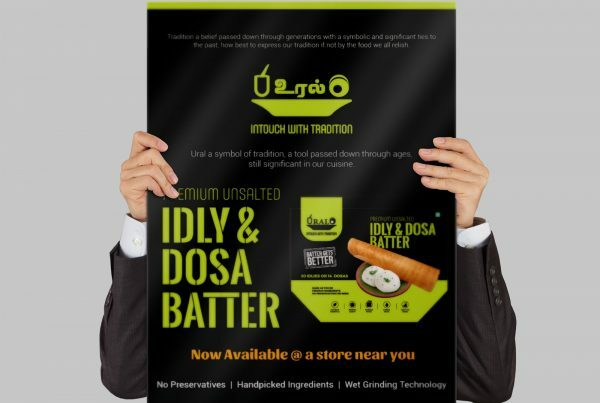 Wadi Al-Raidan Restaurant serves a great variety of Kuwaiti, Arabic, Indian and have an amazing food delivery services that delivers to many areas in Chennai. 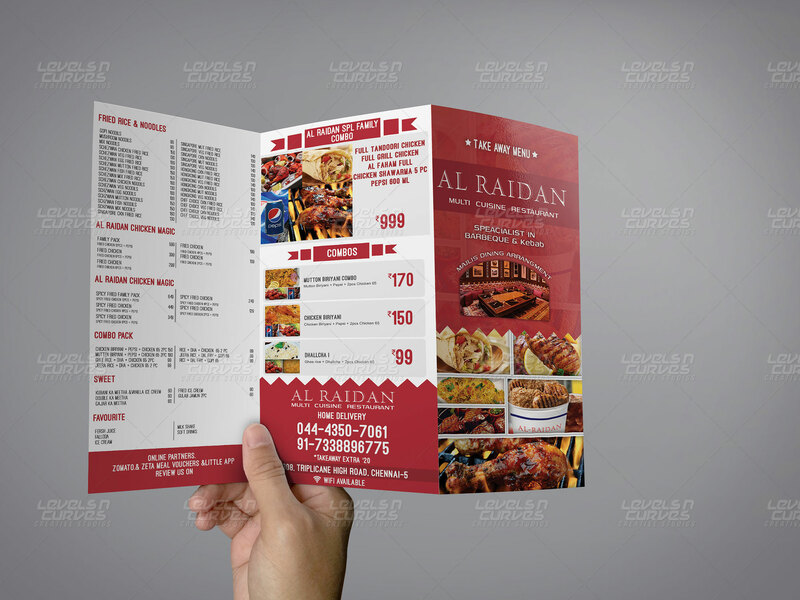 We at Levels N Curves Creative Studios, (a web design/development company Chennai, India) offered with a graphic design and print material design such as menu card design and promotional flyer design for displaying their menu items. "LNC has an amazing talent in design. They are real professionals. I am very happy with the design. They took the time to really understand my product and created exactly what I wanted. LNC’s turnaround time was excellent. I most certainly look forward to working with them again in the near future. Many, many thanks again!"